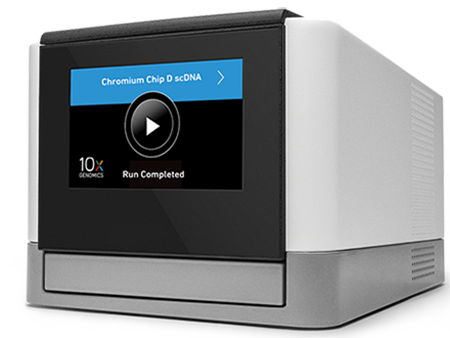 The Chromium Single Cell CNV Solution is a scalable and easy-to-use technology for rapid and massively parallel profiling of single-cell genomes. This solution is the first to be built on the company’s new technology advancement for generating Cell Beads and Gel Beads (CBGBs). Chromium Single Cell CNV Solution profiles the genomes of individual cells to reveal tumor heterogeneity, characterize somatic mosaicism of neurons, and authenticate cell line identity and clonal purity. The solution also includes a comprehensive software suite from 10x Genomics to rapidly analyze and visualize large single-cell CNV experiments. The Cell Ranger DNA analysis pipeline provides a turnkey solution for single-cell CNV calling and clustering. The Loupe scDNA Browser provides an easy-to-use tool for inspecting and interrogating genomic regions and cell clusters.